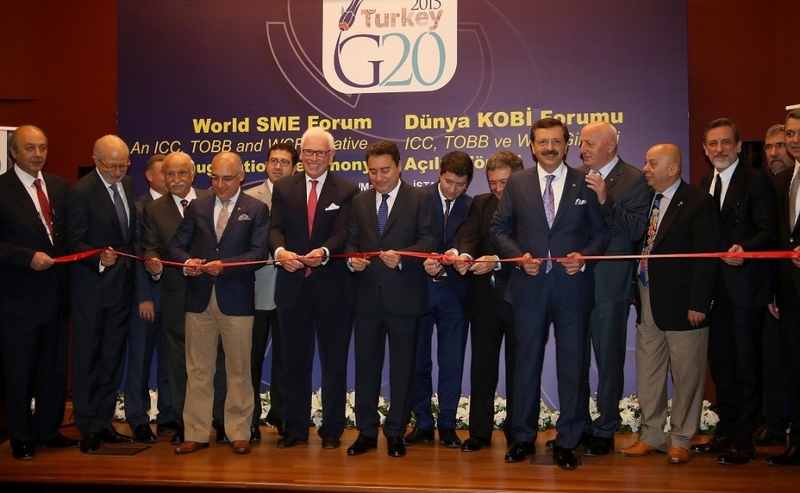 Deputy Prime Minister of Turkey Ali Babacan has announced the official launch of the World SME Forum (WSF), a major new initiative to drive the contributions of small- and medium-sized companies (SMEs) to global economic growth and employment. “The SME sector is vital to the world economy, and small business is the powerhouse of employment, innovation and entrepreneurial spirit,” said Mr Babacan. “A central focus of the Turkish G20 presidency is to unlock the potential of SMEs to stabilize the economy and stimulate economic growth, trade and employment,” he said. 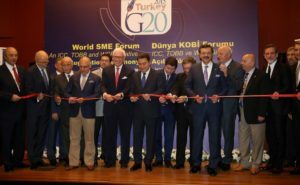 Turkey has championed inclusiveness as one of the key priorities for the G20, and the establishment of the WSF—with its focus on small business worldwide—delivers a tangible achievement halfway through Turkey’s G20 presidency. The establishment of the WSF was endorsed last month by G20 Finance Ministers and Central Bank Governors at their annual Spring meeting in Washington. The G20 has signalled its interest in supporting the WSF mandate to provide advocacy, know-how, and e-knowledge to enable SMEs to better fulfil their potential as an engine of sustainable growth and job creation. WSF has been founded through a partnership between the Union of Chambers and Commodity Exchanges of Turkey (TOBB), the International Chamber of Commerce (ICC), and ICC’s World Chambers Federation (WCF). “Over the next six months, we’ll develop a work plan for presentation to G20 Leaders in Antalya. We need their support to ensure that our work becomes a standing priority for the G20 going forward,” Mr Danilovich added. With the G20 now widely regarded as a powerful agenda-setting body to drive implementation through international organizations, the newly established WSF provides a direct channel for G20 Leaders to mandate greater attention to and support for SMEs. WSF represents an innovative form of private-public cooperation to spur economic growth and employment in line with existing G20 commitments. “SMEs throughout the world face significant barriers to doing business and WSF will be committed to give them the lift that would result in win-win outcomes for everybody,” said Mr Hisaciklioglu. The founding partners encourage other representative bodies in national and global communities, such as SME and trade associations and national chambers, to become members of the WSF. Learn more about the ICC G20 CEO Advisory Group. Follow ICC Secretary General John Danilovich on Twitter @JohnDanilovich.